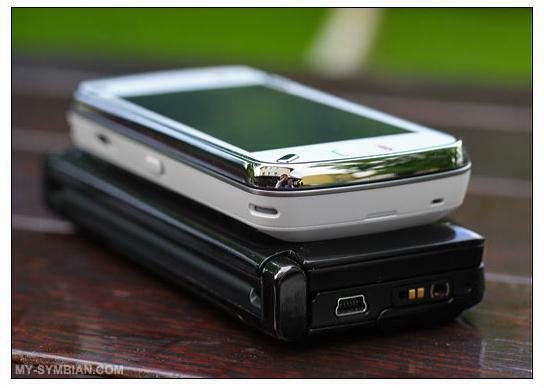 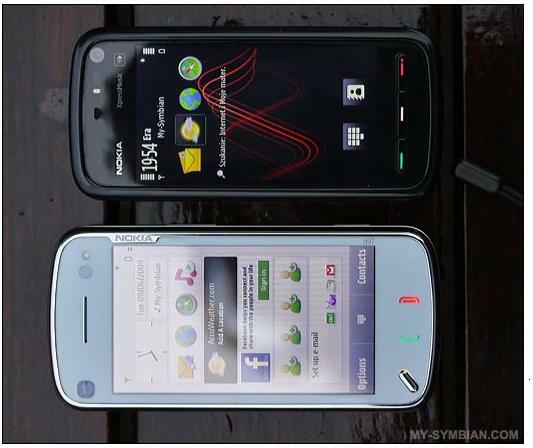 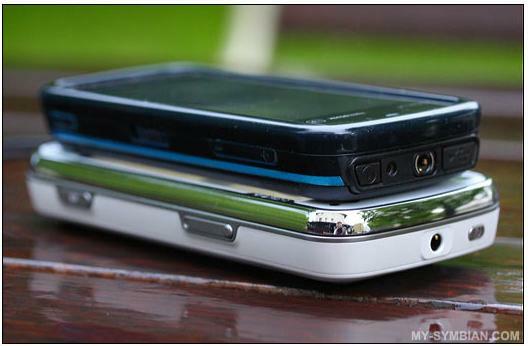 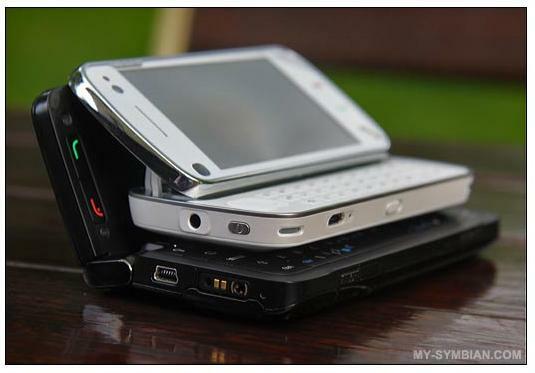 My-Symbian has posted some excellent comparison shots of the N97 with the E90, E75, 5800 and Samsung i8910 (Omnia HD). 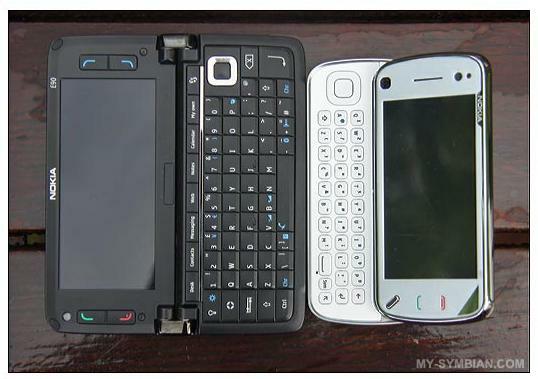 E90 is huge, but that’s because of that big screen and that spectacular keyboard. 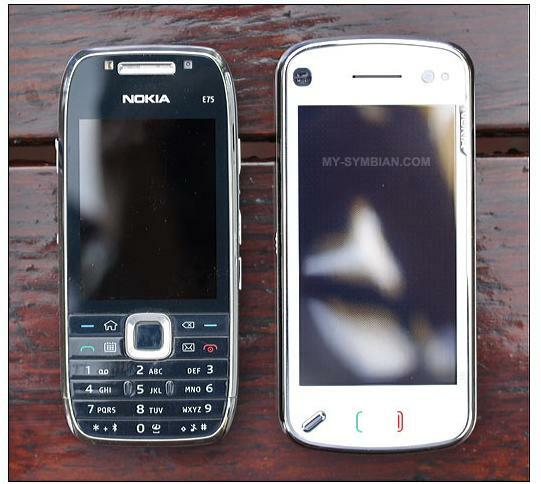 Not the best looking phone though. 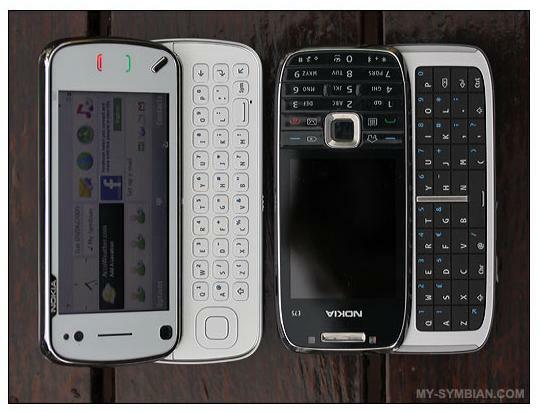 You’d think the reason Nokia stuck the numbers row with the first letters row was because they didn’t have enough rows. 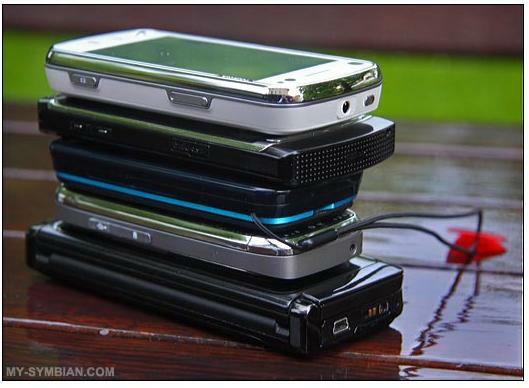 1 more row could have done it, right? 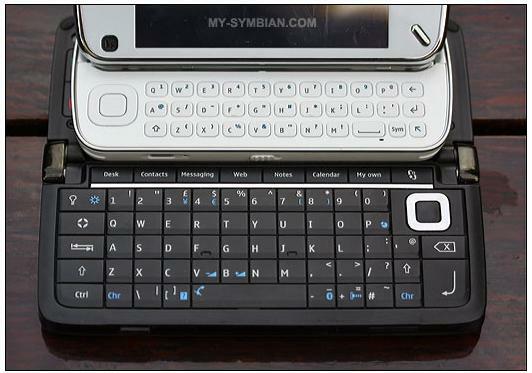 …The E75 has four rows of keys, BUT still doesn’t have a dedicated numbers row. 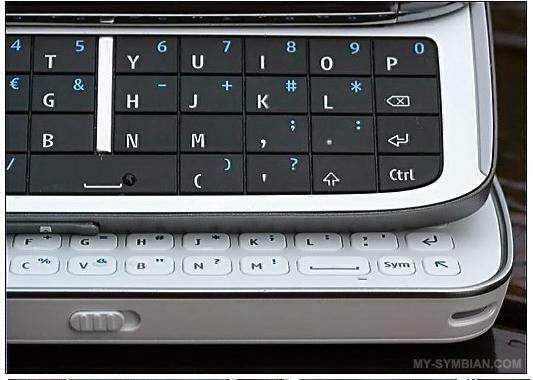 I guess you could close the keyboard and quickly right on the keypad – but it just seems very frustrating that Nokia puts a keyboard, yet compromises severely on the layout. 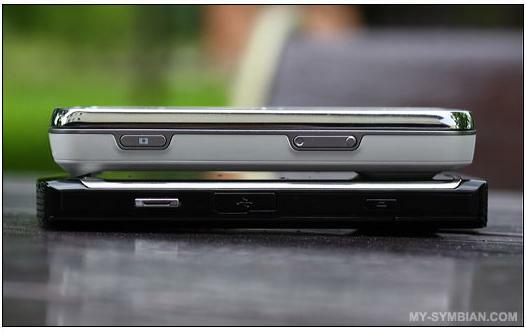 3.2″ screen vs 3.5″ screen. 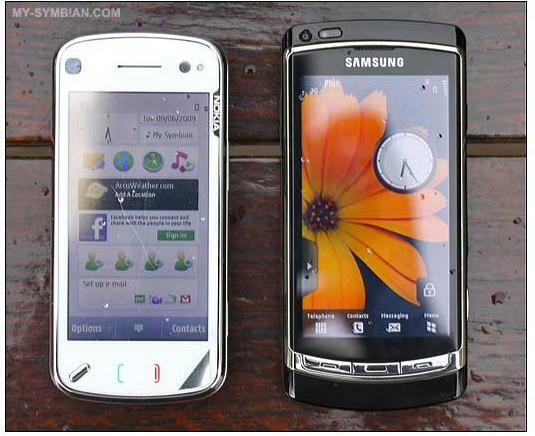 3.5″ screen vs 3.7″ screen.